1.1 Hotspot activities in the ASEAN region remained generally subdued except in Cambodia, where there were occasional increases in hotspot activities. Localised smoke plumes were observed in the vicinity of these hotspots. 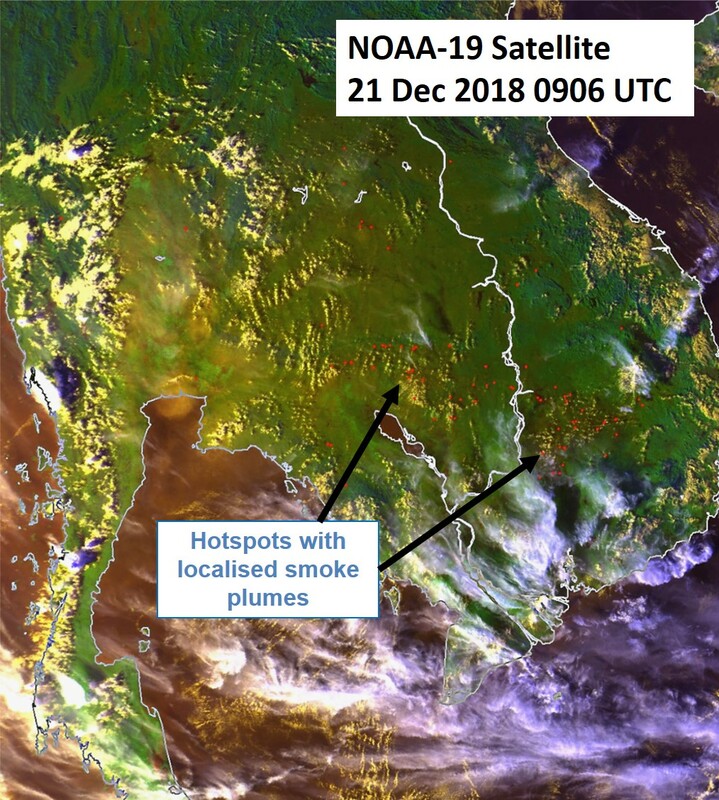 Figures 1: NOAA-19 satellite image on 21 Dec 2018 shows hotspots with localised smoke plumes detected in Cambodia.